When economist Jason Hockenberry looked at data comparing some of the financial issues facing different U.S. hospitals, he was surprised by what he saw. Hockenberry was examining the effects of a recently introduced U.S. program that penalizes hospitals with relatively high rates of readmissions for certain conditions by reducing Medicare payments. Although Hockenberry expected hospitals that serve low-income and uninsured patients to have more readmissions (and therefore more penalties), he saw these so-called “safety-net hospitals” had been steadily improving their performance since the program began in 2012, and had faced fewer penalties over time. The results were so striking, they ended up in JAMA on April 18, 2017. But within one week after publication, Hockenberry learned outside researchers had raised questions about the analysis. The outside researchers thought the authors had incorrectly categorized some of the safety-net hospitals. After looking into their concerns, Hockenberry — based at Emory University in Atlanta — realized the analysis did contain errors that affect the findings. This week, he and his co-authors retracted the article, replacing it with a corrected version. The new paper still reports that the gap between the penalties faced by safety-net and non-safety-net hospitals is closing — but not for the reasons they initially thought. JAMA tells readers: “Caution advised.” Here’s why. Last week, JAMA issued some unusual notices, letting readers know they should use caution when reading an editorial and letters associated with now-retracted articles by a bone researcher in Japan. The notices — for papers by Yoshihiro Sato, now up to 14 retractions — remind readers not to heed the results of the now-retracted papers, and alert them to read any associated materials (specifically, an editorial in JAMA and letters in JAMA Internal Medicine) with caution. Continue reading JAMA tells readers: “Caution advised.” Here’s why. Posted on August 11, 2017 August 11, 2017 Author Alison McCookCategories arch int med, corrections, freely available, Geriatric medicine, jama, jama internal medicine, japan retractions, society journal retractions8 Comments on JAMA tells readers: “Caution advised.” Here’s why. A few months ago, a researcher told Evelien Oostdijk there might be a problem with a 2014 JAMA study she had co-authored. The study had compared two methods of preventing infection in the intensive care unit (ICU). But a separate analysis had produced different results. When Oostdijk and a researcher not involved in the study analyzed the data again, they discovered a notable difference between the revised and original findings: The new analysis revealed that one of the interventions had a small but significant survival benefit over the other. Oostdijk and Bonten, who supervised the re-analysis, notified their colleagues of the revised study outcomes and contacted the journal requesting a retraction and replacement, which was published yesterday in JAMA. 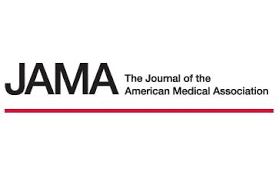 Authors have retracted a JAMA article summarizing the evidence behind the benefits of a supplement, after the systemic review upon which it was based was withdrawn. The 2014 paper, “Oral Zinc for the Common Cold,” drew from a 2013 Cochrane Review, considered the gold standard for rigorous analyses of clinical treatments. That Cochrane review was withdrawn last year, a decision that the editors upheld this past September. Both were co-authored by Rashmi Ranjan Das, of the All India Institute of Medical Sciences, in Bhubaneswar, and Meenu Singh, of the Post-Graduate Institute of Medical Education and Research, in Chandigarh, India. Although previous research has suggested peer reviewers are not influenced by knowing the authors’ identity and affiliation, a new Research Letter published today in JAMA suggests otherwise. 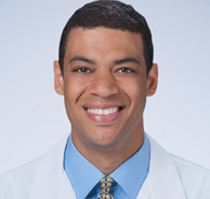 In “Single-blind vs Double-blind Peer Review in the Setting of Author Prestige,” Kanu Okike at Kaiser Moanalua Medical Center in Hawaii and his colleagues created a fake manuscript submitted to Clinical Orthopaedics and Related Research (CORR), which described a prospective study about communication and safety during surgery, and included five “subtle errors.” Sixty-two experts reviewed the paper under the typical “single-blind” system, where they are told the authors’ identities and affiliations, but remain anonymous to the authors. Fifty-seven reviewers vetted the same paper under the “double-blind” system, in which they did not know who co-authored the research. We spoke with Okike about some of his unexpected results. The Canadian Institutes of Health Research (CIHR) has banned a bone researcher for life following a finding of misconduct. And in a first, the agency has named her, in their report out today. The case of Sophie Jamal may be familiar to Retraction Watch readers, as we covered it in October of last year following reporting by The Toronto Star. 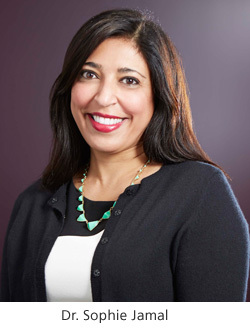 JAMA retracted a 2011 study by Jamal and colleagues in December, as we reported, and she resigned her positions at Women’s College Hospital (WCH) and the University of Toronto. JAMA has decided not to retract an article about cancer risk in elephants after receiving a request to do so from an animal rights group. People for the Ethical Treatment of Animals (PETA) recently protested the 2015 paper, which found that higher levels of a tumor suppressor gene could explain why elephants have a lower risk of cancer. According to PETA, the paper contained inaccurate information that could be used to justify inhumane treatment of elephants. At the time, the journal told us it considers all calls for retraction. Remember last week, when JAMA replaced an article about the impact of moving homes on kids’ mental health after discovering some errors in the analysis? We’re going to see more of these somewhat unusual notices coming out of JAMA journals in the near future – the JAMA Network journals may issue more “retract and replace” decisions for papers, in which it pulls an old version of an article and replaces it with a corrected one. 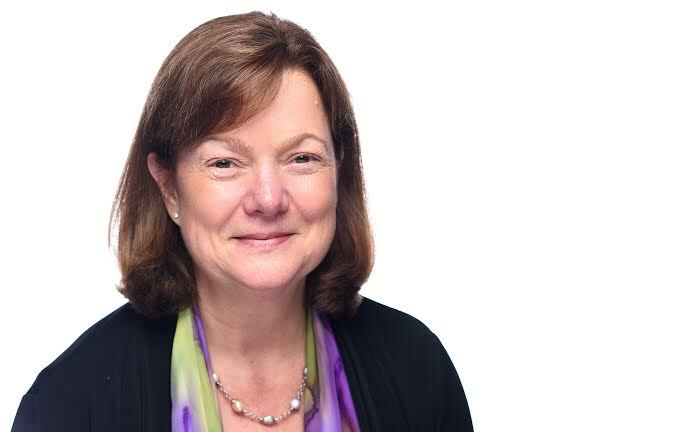 But it’s not a correction — we spoke with Annette Flanagin, the Executive Managing Editor for The JAMA Network, to learn more. JAMA authors have retracted — and replaced — a 2014 paper about the mental health effects of household moves on kids, after they found errors while completing an additional analysis. The original paper concluded that in “families who moved out of high-poverty neighborhoods, boys experienced an increase and girls a decrease in rates of depression and conduct disorder,” according to a press release issued by the journal along with the paper (which also got some press attention from Reuters). But part of that conclusion is wrong. JAMA has announced it does not intend to retract a 2005 review article about fetal pain, despite requests from anti-abortion activists who claim it has been misused in debates about the procedure. Earlier this month, JAMA told one anti-abortion critic that it would take a look at the paper, which suggested that fetuses can’t feel pain before the third trimester. Critics have argued that newer findings have shown pain sensation appears earlier in gestation, yet the 2005 data continue to be cited in the discussion around abortion. What’s more, critics have lamented that some of the authors failed to mention their ties to the abortion industry.